A recent study shows the effect LSD has on our brain’s semantic networks and how these findings can be used for medical treatments in the near future. It took more than 40 years to finally get rid of the social stigma and strict regulations that were tied to psychedelics and start a new wave of scientific research that will shed light on how LSD and other psychedelics affect our brain. The findings of these researchers could help us to better understand our mind, consciousness and the implications they have for various psychiatric treatments. Lysergic acid diethylamide or LSD is a semisynthetic psychedelic drug that is usually made from ergotamine, a chemical found in the ergot fungus. Albert Hofmann synthesized it for the first time in 1938 in Switzerland, and he discovered its psychedelic properties in 1943. 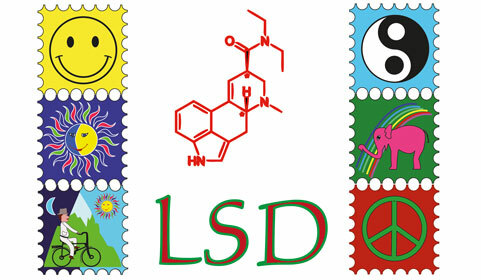 LSD was introduced as a commercial medication in 1947 for various psychiatric uses, but was prohibited in the 60’s due to being a vital part of that decade’s counterculture. LSD is mostly used recreationally, mainly because it is considered an entheogen, a chemical compound that can catalyze spiritual experiences. The chemicals hallucinogenic and psychological properties such as fractal geometry visuals, multiple thought streams, and ego death make it a very potent psychedelic that left its mark on modern-day culture, art and philosophy. On the 16th of August 2016, a study was published named “Semantic activation in LSD: Evidence from picture naming”. In this study, the lead researcher Dr. Neiulofar Family investigates the link between LSD and language. The ten participants were asked to name a set of pictures under a placebo and a week after under the influence of LSD. The dose in the case was enough for the participants to experience psychedelic effects, but without the potency of a full-blown trip. During the experiment, LSD didn’t slow down reaction time, but the participants would make more mistakes that were similar in meaning to the pictures. For example, when people would see the picture of a cat they would more often say things as "tiger" and so on. It seems that LSD activates the brain's semantic networks more strongly, meaning that it affects the way ideas and words are stored in relation to each other. When a person perceives an image more words come up from the same family of meanings. These findings are important both to our neurobiological understanding of semantic network activation and the possible use in the field of psychedelic psychotherapy. In the case of psychotherapy, the effects LSD has on language could help us to access far away concepts in the mind in a cascade of associations. 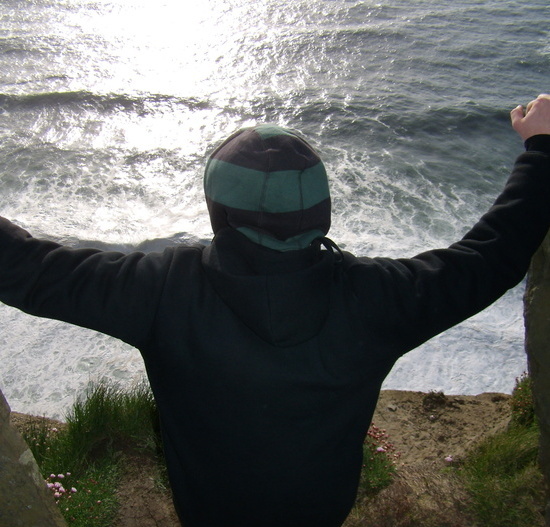 Or it may help us to better understand the automatic processes that are part of expressing thought via words. 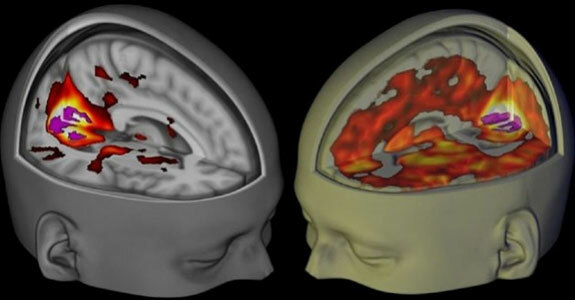 A series of studies concerning LSD were conducted recently at the Imperial College London. The main goal of these experiments was to monitor the brain activity of participants who were under the influence of LSD. By using cutting-edge brain scanning techniques, scientists measured the blood flow and electrical activity of the participant's brains which allowed them to see what parts of the brain were more active during an LSD trip. They found out that when people experience dreamlike hallucinations under LSD the visual cortex, the part of the brain that processes the information from our eyes isn’t the only part that is contributing to the visual processing. Furthermore, when people feel a fundamental change in their consciousness during the LSD trip, they are experiencing the workings of a more unified brain. These findings suggest that during an LSD experience, parts of the brain work more together and the lines separating their specialized functions start to blur, thus the meaning of a unified brain. A couple of decades needed to pass from the 1960’s, but there is again a rising trend of psychedelic psychotherapy. The potential of psychedelics in the fields of psychiatry and neurology can’t be ignored anymore, and new research is being conducted every day. However, the biggest bottleneck is funding. It is still very difficult to get a grant due to persisting misconceptions. The public should be aware that these research results are of great importance to battling various psychological illnesses, such as depression and addiction. Not only that, these studies could help us to further understand our mind and consciousness, which could have an even greater impact on society as a whole. We live in exciting times where we explore the inner workings of our mind on a whole new level. We should embrace the fact that psychedelics could be a stepping stone for great scientific breakthroughs and find out more how they can be used for our personal benefit. Maybe, in the long run, LSD, and other psychedelics could help us get to know ourselves and that may be the first step for a better future. 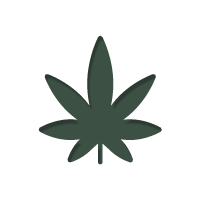 Enjoying the warm climate of the Mediterranean, Ante is an organic grower with a keen interest in breeding. When not writing, he is working on developing a hybrid to call his own.